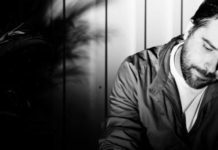 Walden is a teenage producer from Australia who has been making a rise in the world of electronic music, thanks to his melodic house music. I put the 19 year-old on the stands to learn more about his production techniques and breakdown one of his tracks, “Ciaco“. Can you tell me what of some of the most useful production techniques are, in terms of both creating your music and mixing it? EQing, compression and sidechaining are the 3 of the most important things to me. What frequencies of a layer stick out most in the mix, how they are compressed and how the instruments revolve around the kick – all of these, in my opinion, are what potentially make or break a dance record. A lot of new producers struggle with multi-band compression. Is that something that you find yourself using to good effect? Absolutely! Multiband compression is great because I’m able to compress particular areas in the frequency range without affecting the rest of the mix. I generally use Multiband Compression in the mastering/mix down stage rather than the production stages, though I do find myself using it more often on live instruments like vocals, pianos and guitars etc. It’s great for cleaning up any mishaps or particular sounds/frequencies that stick out to much during the recordings. Do you ever find yourself using distortion creatively? Sometimes I like to use it on percussion, to give them a bit more punch/aggression. Generally for me, distortion on amps and bass-lines are mandatory. Sometimes I’ll use it on vocals as well, though I think it depends on the effect that you are going for. Obviously, distortion is great if you are going for that really aggressive, in-your-face electro-style sound. Automating distortion can also be cool, by using it to slowly distort a synth over time, or only distorting that synth in particular areas. This is something that I have been experimenting with on my tracks lately. As someone who uses FL Studio, can you tell me about some things that you think you wouldn’t be able to do in another DAW? I love the way you can manipulate the samples in FL through the Sampler – fattening them up, lengthening or shortening etc. It has done wonders for me when molding samples together and creating new kicks and percussive sounds. 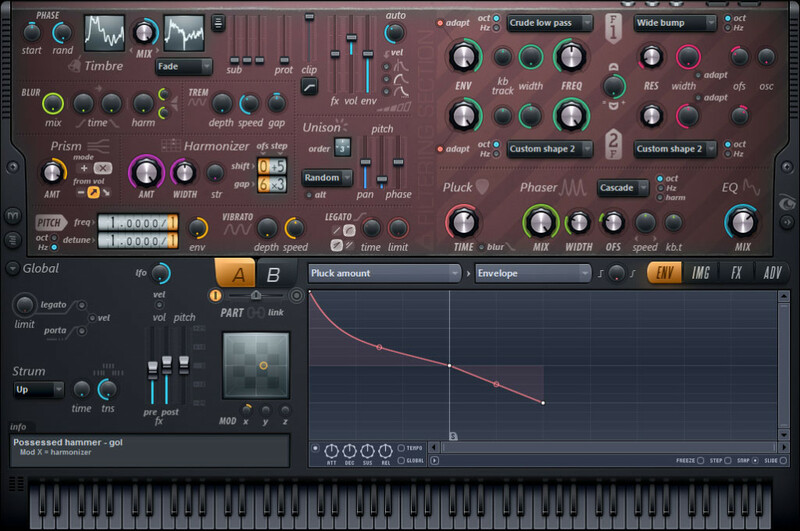 Another thing that I really enjoy is the pitch-bending feature in the piano roll – it only works for FL VST/Synths (though that suits me fine, as I use most of them anyway) and is extremely handy when creating FX, or making a melody/chord progression a little bit more interesting. The Pattern feature is also super useful! It really does speed up the process of placing down beats/rhythms etc. FL overall is a very quick program to work on, and great for sketching down quick layouts and ideas. 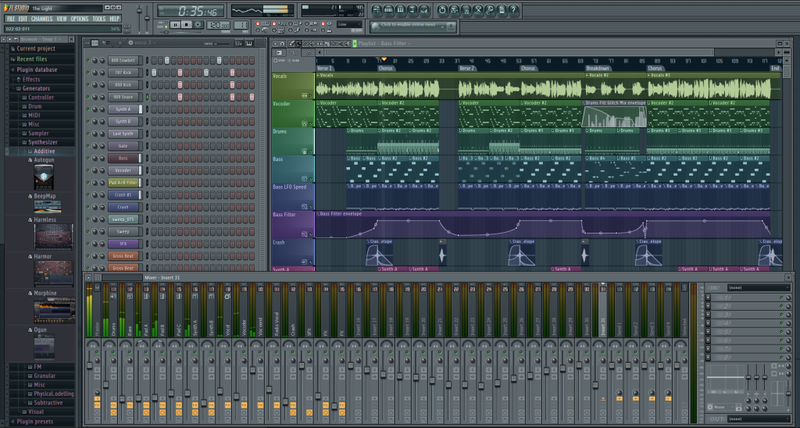 What would you say is FL Studio’s best kept secret, and how do you use it? Harmor and Harmless. 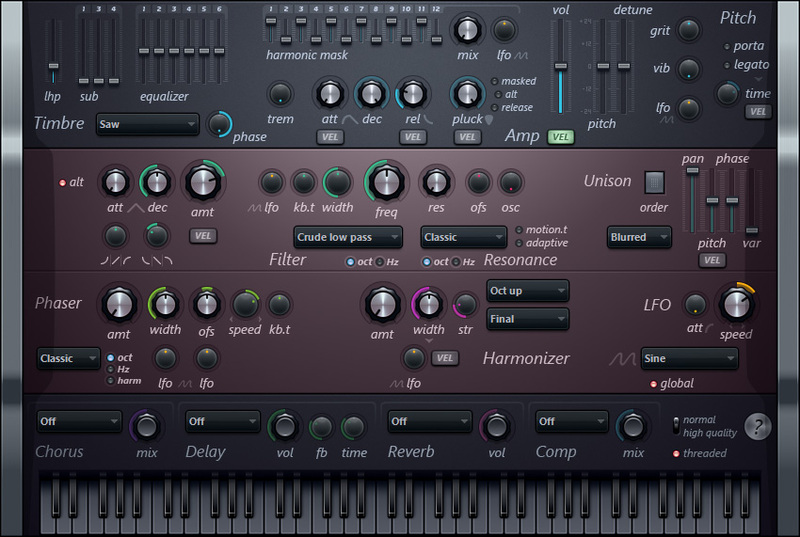 They are some of the most useful VST synths that I’ve used when creating bass-lines and FX. I think a lot of people underestimate what those 2 plugins are capable of doing. As someone who’s successfully transitioned from newbie producer to professional artist, what advice would you have to offer to the sea of noobs and first-time producers out there? Here is some of the most important advice that I have received over the past year. 1. Create space – if you want something to sound larger, do not think about what you need to add, but rather what you need to take away, to further emphasize on the aspects of a track that you want to bring out more in the mix. 2. Loudness isn’t everything. 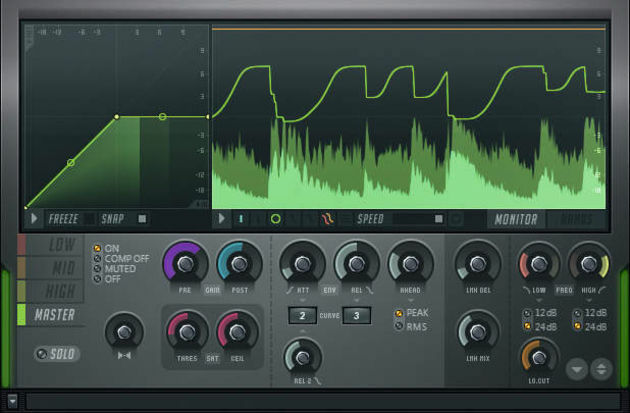 Don’t feel the need to completely sausage your record in the mastering process, as it risks making the track sound smaller – sometimes it’s good to have a little bit of dynamics. If you want something to sound really loud in the club, turn up the gain volume on the mixer! 3. Split up the sounds, that is, low and high ends of the bass line. I generally have a 2 or 3 separate instruments to make up a bass-line: one for the sub, the 2nd for mid-range, and the 3rd for the top – generally 200-300hz and upwards. Likewise for kicks. It’s a great way of having full control over the individual layers/aspects of a sound. Can you tell us what musical element of “Ciaco” you created first? Drums, lead, FX? How did that inspire the rest of the track? The chords and synth sounds were where I started. I think they really set the tone for how the rest of the track would pan out, sound design and arrangement wise. Care to share what some of the synths you used for this projects, and what sounds they are? Harmor, Harmless (most of the presets I myself) a little bit of Nexus for layering and adding texture. 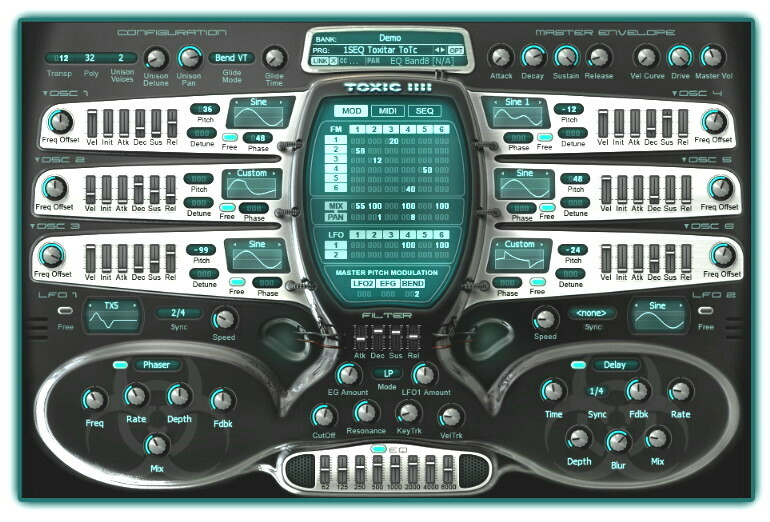 Toxic Biohazard for other FX, and I think Sylenth was in there somewhere too. You have very sharp percussion hits in this track. Was that something you achieved in the mix-down stage, or did it come from picking the right samples? Picking the right samples and then manipulating them in the way that I needed to, through the use of FX, EQing, compression, layering, etc. Maximus (an FL plugin) has also been a great tool for me over the past 2 years, with compressing and fattening up my percussive and synth layers. “Ciaco” sounds very loud and in-your-face (which is great!). Did you have any technique for achieving that, like group FX chains or master buss processing? 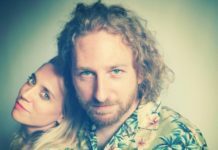 Or was it something that was handled at the mastering stage? It was mainly something that I handled in the production stage, by processing the sounds and layering them together. Maximus definitely played a big part in terms of getting that big fat aggressive sound with the synths and drums. Looking back on the record now though, I think that overall, it could have sounded much cleaner and a little less squashed/compressed. What were some of the most creative mix techniques you used for this track? For this record, nothing too outrageous. This was however one of the first records where I really started to split up my sounds, that is, the subs and top-ends, like with the kicks, bass-lines and even some synth lines. Panning and stereo enhancing hi-hats and upper register instruments so that they stick out a bit more in the mix, and don’t clash too much with the middle and lower sections of the mix, etc. Did you make any of the FX for this track? If so, which ones? A lot of the risers and a few of the white noises – the rest of the booms and clashes were just FX samples and reverbed kick drums, etc. What was the hardest part of producing this track, and how did you end up solving that problem? I think the mix down/mastering stage was the hardest bit to get right. I mean, obviously it could have been better, but I have learned a lot since then. The most striking part about “Ciaco” is how you managed get so many melodic elements to fit together in the mix, without blurring any sounds. Would you attribute that to? EQ’ing, compression, automation, etc? Yes, absolutely! EQing, automating the filters on the chords and melodies to control how they would transition from section to section, and also how they would interact with each other. The right choices of sounds, melodies and chords played a big part in this as well. Alright. Well that’s about it for our questions. You did a splendid job of giving me some insight into your production. 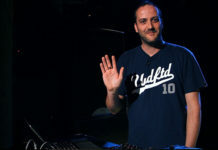 Hopefully, people will have received a lot of tips on how to improve their music productions. For more on Walden, just follow him on Facebook, and Twitter!